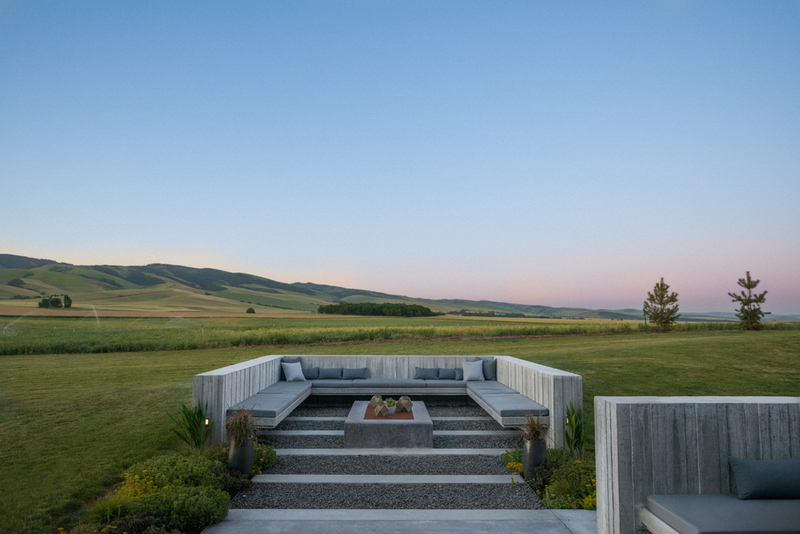 A couple with two young children approached us to design a house outside of Walla Walla that could allow them to be close to each other and still graciously accommodate an extended family for special occasions. 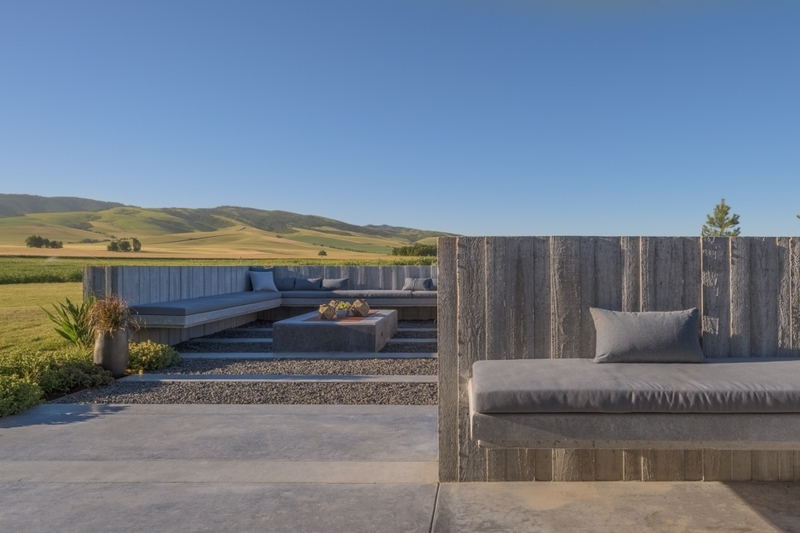 Their plan is to grow old in the house, so strong emphasis was placed on maintenance-free materials and systems, universal design, with a warmly modern, restrained palette of natural materials. The 80-acre site faces the Blue Mountains to the east, the Columbia Gorge to the south and west, and a creek to the north. The design challenge was to welcome winter sun while protecting indoor and outdoor spaces from year-round winds. This led us to berm the house slightly into the hill on the southwest, orient the roof slopes to deflect the wind, and create sheltered spaces on the south and north. 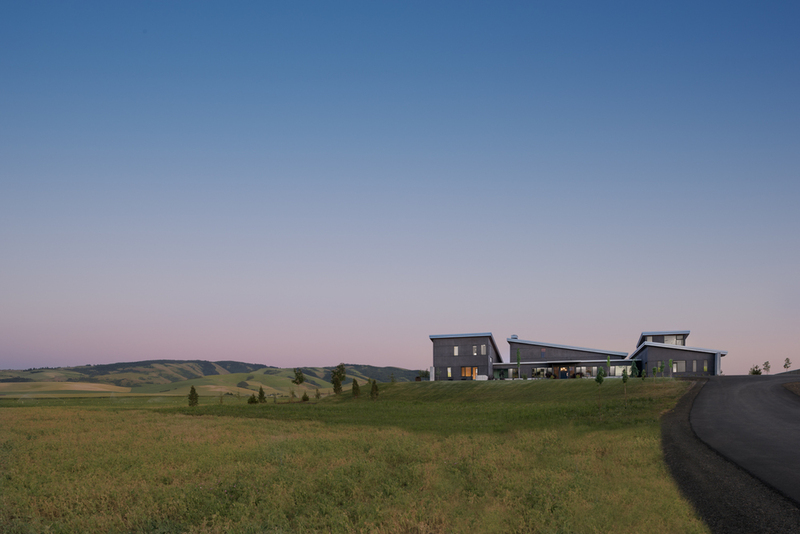 The house is both heated and cooled by radiant coils in the floor and walls, tied to a ground-source heat pump. A photovoltaic array and backup propane generator provide a measure of energy independence. Massive, insulated concrete walls and floors with expansive glazed areas and carefully tuned shading allow us to harvest solar energy without overheating. Construction was completed in 2013.